Sometimes it can seem like every health issue that can possibly happen to you has a scary sounding medical name. “Erythema marginatum” certainly is no exception. 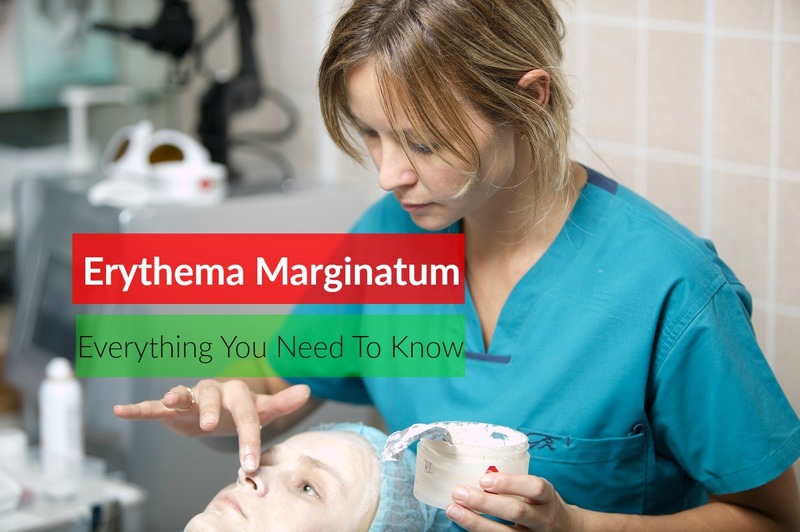 What is most important for you to know right away is that erythema marginatum is not a condition that occurs on its own. Rather, it is always indicative of another underlying medical condition or reaction. The key to treatment is to figure out what that underlying cause may be. In this article, learn everything you need to know about this condition, including how and why it develops, causes for it, symptoms to watch out for and how it is diagnosed and treated. As mentioned in the introduction here, typically this rash signals the underlying presence of another underlying more serious condition or disease. In and of itself, this health issue is not considered dangerous, but the underlying cause may be. 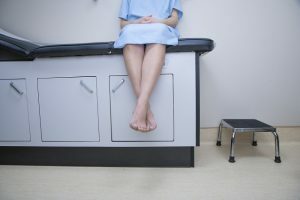 As well, it sometimes occurs when any other signs of the illness have yet to manifest, which means it can serve as an early warning sign to expedite the diagnosis and treatment process in any case where treatment is needed. The trigger for this health disorder is inflammation in the underlying vascular network of blood vessels. The inflammation is what manifests at the surface of the skin as a red, raised rash. » Vascular leakage (hereditary Angioedema). Rheumatic fever is by far the most common and best known trigger for cases of erythema marginatum, but it is important to be aware that this is not the only potential cause. While cases of rheumatic fever are relatively rare in first world countries today, in less well developed countries this illness is still common, especially in children. From here, it spreads, separating into multiple lesions. As the rash spreads, the redness at the center fades. Small individual lesions join together to form larger raised lesions that often take on a snake-like or ring pattern. The most common areas of the body to see this condition is on the abdomen and torso. It can also spread to the arms and hands and legs and feet, but rarely ever moves up the neck to the face. Since it’s typically not painful or itchy, it can be tempting for patients to simply ignore its presence. But since the rash is simply a symptom of an underlying condition, it is important to take prompt action to find out the underlying diagnosis and begin treatment. » A red, raised rash that spreads outward. » Coloration can range from light pink to deep red. » As the rash spreads, the center of each ring or formation is pale. » Lack of pain, burning or itching. » Painless raised nodules, rings or bumps. » The individual lesions are small in size and are sometimes described visually as “targets” with a pink/red outer circle, a pink/red center and clear skin in between these two marks. » The rash areas turn a paler pink when pressure is applied. » The rash may come and go several times. » It can be aggravated in the presence of heat (you can tell if this is the case if the rash gets lighter in color in cooler conditions). » An outbreak may last only minutes or may persist for weeks or even months at a time. » Joint pain, swelling or warmth. » Chest pain or heart palpitations. » Loss of emotional control (as manifested in sudden episodes of crying or laughing). » Jerky, sudden facial or extremities movements (associated with a related nervous disorder called Sydenham chorea which is caused by the same bacteria that causes strep throat and rheumatic fever). While this problem is more common in younger patients, it can happen to any person of any age. As mentioned here, due to the wide range of possible causes, the diagnostic process typically begins with your presentation of symptoms as well as a recent history of any moves or travel to tick-infested regions or out of the country. If it is suspected that a medication you are now taking or have taken in the past may have caused an allergic reaction to trigger erythema marginatum, your doctor will also want a full list of previous and current medications to match them against a known association with the rash. Your doctor will want to take a complete personal and family medical history to rule out possible genetic causes. If you are female and are not aware of being pregnant but this is a possibility, your doctor may also want to do a pregnancy test to rule out this potential cause. The next step will be a physical exam. In particular, your doctor will examine the affected area(s) on your body to determine if the rash matches the typical presentation of this problem and feel to see if any lymph nodes or glands are swollen, which can indicate the presence of infection. As the National Institutes of Health (NIH) highlights, often a minimally invasive skin biopsy of the lesions is taken to provide a definitive diagnosis of the type of rash as erythema marginatum. This can be a valuable first step on the road to a full and accurate diagnosis. From here, your doctor will proceed with the set of tests that matches the most likely diagnosis, starting with rheumatic fever since this is currently the most common underlying cause. » ASO (strep test). Looks for the presence of Group A streptococcal bacteria in the blood. » CBC (complete blood count/chemistry). Looks for markers of infection or cancer. » ESR (sedimentation rate). Measures the level of body inflammation. » Electrocardiogram. Measures the heart’s activity. » Throat swab. To look for the presence of streptococcus bacteria. » MRI or CT brain scan. To look for evidence of Sydenham chorea. » ELISA and/or western blot test. To diagnose Lyme disease (caused by a tick bite). » Allergy testing. If you test negative for other underlying conditions such as Lyme disease and rheumatic fever, your doctor may recommend allergy testing. Currently, treatment for the condition focuses on treatment for the underlying condition that is causing the rash. One of the most common treatments that can work well for rheumatic fever, Sydenham chorea, Lyme disease and some allergies is antibiotics, according to the Centers for Disease Control (CDC). Certain anti-inflammatory medications, including over-the-counter and prescription-based, can be helpful as well to reduce the vascular inflammation. Corticosteroids may be prescribed orally or as injections. Pain killers like aspirin can also alleviate other underlying symptoms on a temporary basis. If CT or MRI scans show inflammation in the heart, this will also be treated with medication. If, after reading the information included here, you suspect that you or someone you love may have developed this condition, it is important not to panic or worry. A visit to your family doctor can get you started on the path to an accurate diagnosis and prompt medical treatment as needed. » Make an appointment with your general practitioner. » Write out notes describing your symptoms and how long the rash has been present (also note any previous occurrences if you can remember them). » Ask close relatives if hereditary Angioedema may run in your family. » Proceed with your medical exam and complete any tests necessary to obtain an accurate diagnosis. » Follow your doctor’s treatment guidelines precisely.